downs are kept to minimum. All of the machines are serviced as per the manufactures specifications and trucks every 10,000 km. 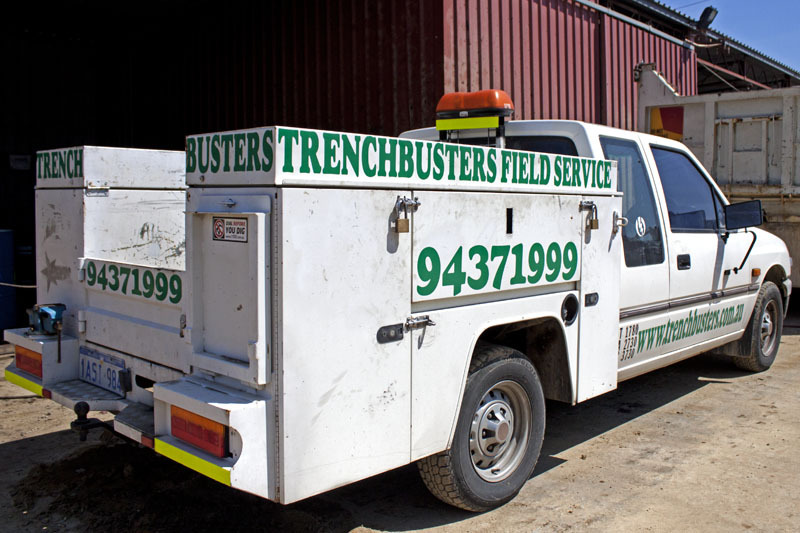 Our operators are required to fill out a check list on there machine and truck each week so the maintenance crew can be on top of thing between services. Operators are required to do an induction upon commencement which outlines loading and unloading machines, workshop safety and other safety procedures. 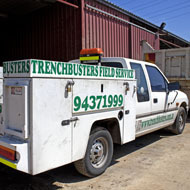 All Trenchbusters operators are required to hold a Blue Card – Industry Safety Course before commencing work (the blue card is recognized throughout Australia as an accredited safety course).